Angus MacLellan has been on trajectory, but perhaps not this quick a trajectory. The hard-working prop for Davenport when they won a national DIAA title; the All-American who went to Ireland to play for Trinity; went to New Zealand; the now Davenport captain seemed destined to get a close look by the Eagles at some point. But right now? That seems a bit fast for a prop. OK, right now it is. Two factors contributed to MacLellan having to inform his team that he would be going with the Eagles to Europe this fall. One was injuries to two Eagle props. Titi Lamositele will be back on the field relatively soon and that’s good news, but he is out for November. Shawn Pittman is out permanently, as he retired this fall following concussion issues that plagues him for close to a year. That left the door open for someone. The other factor was performance. 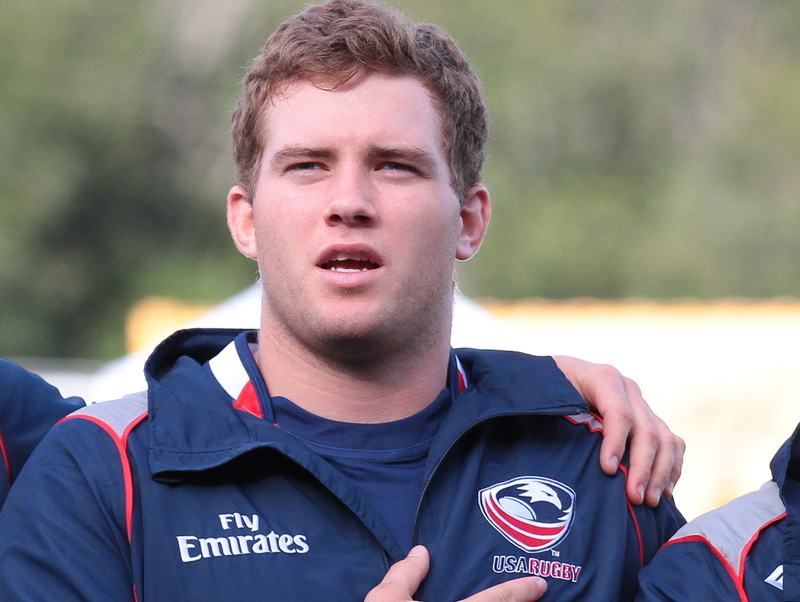 MacLellan showed up in camp for the USA Selects to play in the Americas Rugby Championship, and flat-out did the job. He’s a scrummager first, and turned heads in the pre-tournament scrimmage with Seattle that he can handle himself. He held up when asked against three tough scrummaging teams in the ARC, too. MacLellan knows he is with the Eagles to learn, and he is learning in part for himself, and in part for his Davenport team, which he captains. “Every year we have good athletes, and every year it’s a task to bring a team together and become cohesive,” said the Traverse Bay, Mich. product. “We have tremendous team leadership at Davenport. We have had a coaching change but we all know the coaches. All of those guys are working hard to bring our team together and putting in the building blocks and get ready for the team. Angus MacLellan is our Aircraft Charter Solutions Player of the Week.